I was raised in Southern California. I have always had a heart for hurting people and began volunteering at clinics for unplanned pregnancies and working with women down on Skid Row in Los Angeles while I was in college. Around that same time, I developed some health problems, and that is when I began to really study nutrition and natural health. I learned how God designed our bodies and that a healthy lifestyle is beneficial for everyone. I developed a passion for helping others learn how to take care of their bodies. I even began to dream of opening a clinic for young women where they could receive these services for free. 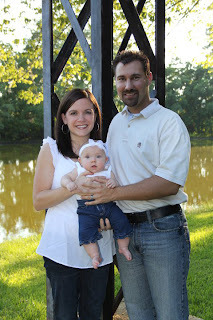 In 2007, I moved to Nashville with my husband and heard about Mercy Ministries. It was just what I had hoped for but didn't know existed! I heard about the Nutrition Manager's position and thought it was tailor-made for me and in 2010, the position became available and I was hired. Since coming to Mercy, I often feel that I have received more than I have given. It is such a joy to serve. Exercising my gifts in counseling and teaching about nutrition is extremely rewarding. It is incredible to see the Gospel of Christ transform a life that no one in the world could help. Working with such amazing staff members who teach me how to grow in my relationship with God has been an experience that I know few get to enjoy. God is fulfilling my dreams, while teaching me to help others dream again! My birth mother left when I was three, and I was raised by my grandma who then died when I was 12. I did not know how to cope with the pain, deception and rejection that life had brought me and did not have much value or self-worth. I came to Mercy Ministries battling an 8-year struggle with anorexia and bulimia. The hopelessness I felt to stop the eating disorder led to struggles with depression, suicidal thoughts, self-harm and prescription drug abuse. 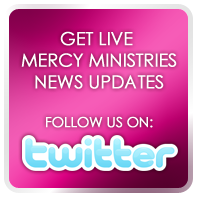 When I went through the Mercy Ministries program, God did an amazing work in my life! I learned to apply God’s Word to my life in a real and tangible way. I was able to deal with tough life issues that were at the root of my behaviors and receive total freedom. At Mercy, the Lord revealed to me that my true identity and value is in Him. After graduating from Mercy, I finished college with a master’s degree in nutrition and dietetics. The Lord took what was once my obsession and made it a passion to help others, and He is using what He has done in my life to help set other girls free. God opened the doors in February of 2009 for me to come back and work at Mercy as the Nutrition and Fitness Director. It has been amazing to be on staff here and serve the residents. I love sharing all that the Lord has taught me and helping other girls find the hope and freedom that I have found in Christ. I was born in Chicago, Illinois, was adopted as a baby, and grew up in Sacramento, California. As an adolescent, I ran from God and was involved in very self-destructive behaviors. Being the daughter of a preacher, I have always known that God had a purpose and plan for my life. I played basketball for Sacramento City College and am currently earning a culinary degree at American River College. My favorite scripture is: Genesis 50:20 “You intended to harm me. But God intended it for good to accomplish what is now being done, the saving of many lives.” God has truly transformed me and has used my personal journey to help me work with these courageous young women at Mercy. I have worked as the Nutrition Manager at the Sacramento home for almost two years and feel honored to be a part of such a remarkable ministry. It has been very rewarding to see God rescue girls from brokenness and restore them spiritually and physically towards complete wholeness. I grew up in an alcoholic home and also suffered some abuse by neighborhood boys. With the help of many wonderful Christians that God brought into my life, I began facing my past in my mid-20s. God restored my broken heart and set me free! The best part about my job is having the opportunity to be used in someone else’s life to do the same. I met Nancy Alcorn several years ago while I was working for a sports ministry, and I fell in love with Mercy Ministries. I could have been a Mercy girl myself. When I got married and relocated to St. Louis, God immediately brought Mercy to my mind, and I was so excited to be hired as the Food and Fitness Manager. I love having the opportunity to see God do at Mercy what could not be done at so many hospitals and rehabs. The world may have all the experts, but God uses Mercy Ministries and someone like me to point the girls to the True Physician and Healer - Jesus! We are so grateful for the amazing job these ladies do to promote physical and spiritual healing for the hurting young women who come to Mercy. Thanks Christen, Crystal, LaShon and Tracey for all you do!